We adopt a fair pricing policy that takes into account the amount of effort and time the assignment will need and your budget as a client. Our flat rate policy allows us to charge clients a fixed price per 1,000 words. Even if your assignment is highly technical, complex, or long, you will still be charged the same rate per 1,000 words. Our aim is to provide a high-quality service at prices and rates affordable to our clients. 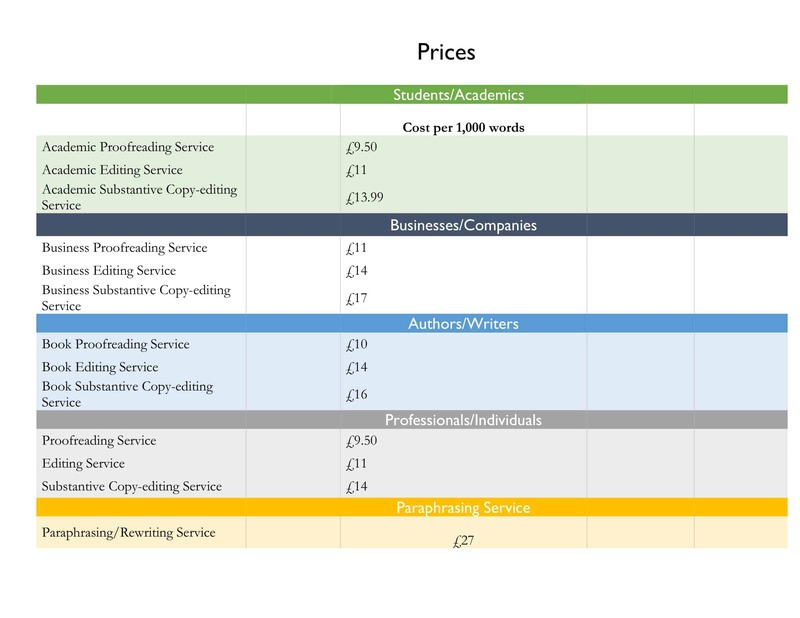 The following table explains the rates for each of our services, including our proofreading, editing and paraphrasing services.